Whether you're a novice or an expert woodworker, Amish furniture plans can help you create your own beautiful wood furniture. The Amish are a group of Christian Mennonite worshipers who live in their own segregated communities throughout some eastern, midwestern and a few western states in the US. These communities embrace a very simple way of life without modern conveniences or technology. The Amish live much like the settlers in the 1800s. They have no electricity or indoor plumbing in their homes and they use the horse and buggy for transportation. The Amish have a long history of being master furniture makers. They are committed to their craft like they are committed to their faith. Amish furniture is superior in quality because they don't use particle board or laminates. Their furniture is built from solid hardwoods and is known for durability. People seek out Amish furniture because of its high quality and traditional look. The Amish use pneumatically and hydraulically powered tools run by diesel generators. Much of the detail on Amish made furniture is done entirely by hand. Characteristics of Amish made furniture include English dovetail joints on drawers and steel ball bearing drawer glides. There are two well-known styles of Amish furniture: Mission style and Shaker style. Mission style furniture originated in the late 1800s. The design emphasizes simple horizontal and vertical lines and flat panels that accentuate the grain of wood. The style came about because people wanted something different than the ornate and overly decorated Victorian style, mass-produced furniture of the Industrial Revolution. Shaker style furniture was developed by the United Society of Believers in Christ's Second Appearing, also known as Shakers. Shaker furniture can be described as simple, elegant, functional and durable. This traditional style furniture has influenced modern furniture designs. You can find Amish furniture plans online to make your own furniture the same way that the Amish woodworkers do. 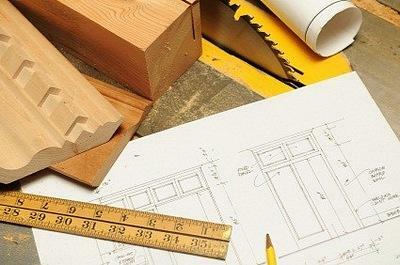 However, if you want your furniture to be the same quality as Amish made furniture, you will need to buy quality lumber and have a good set of tools on hand. If you're interested in making Shaker style furniture, you can buy a book, Making Authentic Shaker Furniture: With Measured Drawings of Museum Classics from Amazon.com.